For people starting the gluten-free diet, it often comes as a surprise at just how little gluten it actually takes to make you sick. It also frequently comes as a surprise that gluten can hide in many different places in your diet, and you won't necessarily know it's there until later, when you get sick. Gluten cross-contamination can occur during any stage of food preparation. It can happen your own kitchen, in restaurants, or even in packaged foods clearly labeled "gluten-free." Fortunately, there are simple ways to help safeguard against this and minimize your exposure to gluten cross-contamination. Here's a list of recommended ways to stay gluten-free. Starting the gluten-free diet requires more than just recipes. You will often need to safeguard your kitchen against accidental exposure. That can be a tough prospect if there are other family members or roommates involved. Using an old toaster is one of the most common sources of gluten cross-contamination. You may need to get one for yourself, but, if you do, never let anyone put gluten bread in it. Only buy stainless steel or solid aluminum pans that do not have non-stick coating. When washed properly, these pans can be used to prepare gluten and gluten-free foods (so long as the foods are not prepared together). Non-stick pans develop scratches that can harbor gluten. Replace cast iron pans and pizza stones, and avoid using the new ones for gluten foods. Buy a non-porous cutting board to be used exclusively for non-gluten food preparation. Metal cooking utensils are far better at preventing cross-contamination than wooden ones (and even some silicone or plastic ones). 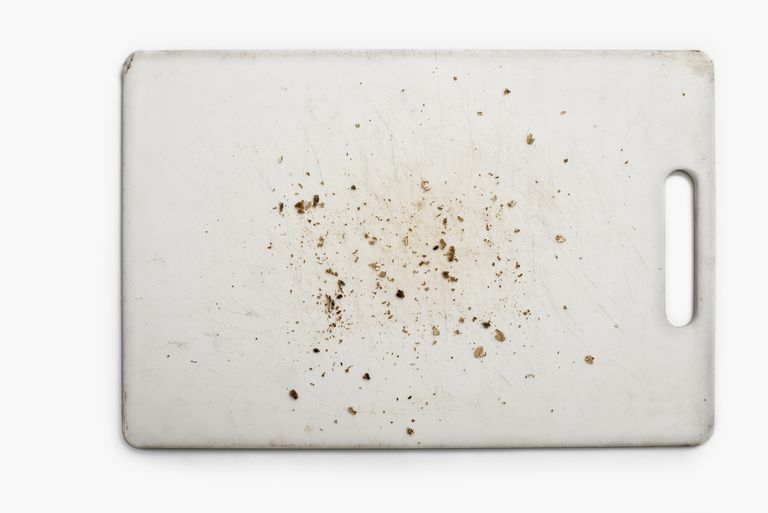 Be careful about sponge and scrubbers used to wash dishes. Try to keep one of your pots, pans, and utensil and separate ones for everyone else. Many restaurants do a decent job of producing gluten-free meals for customers with celiac disease and non-celiac gluten sensitivity. But, in a vast majority of cases, they prepare these foods in the same kitchen and with the same utensils as everything else. Has your kitchen staff received specific training in avoiding gluten cross-contamination? Are all gluten-free foods made on property and, if not, which ones would you need to avoid? Based on the person's responses, you can usually get a pretty good idea as to how "gluten-friendly" a kitchen really is. Typically speaking, chain restaurants tend to perform better than independent ones insofar as they have more structured training systems and protocols. For better or worse, gluten-free foods have become big business. On the one hand, it offers you far more choice as a person with gluten-intolerance. On the other, foods labeled "gluten-free" can sometimes have traces of gluten in them. The U.S. Food and Drug Administration (FDA) defines "gluten-free" as having less than 20 parts per million (ppm) of gluten. The decision was based, in part, on research which showed that this amount of gluten was tolerable in most, but not all, people living with celiac disease. It is important to understand that gluten-free food labeling is entirely voluntary. And, while the FDA says that most gluten-free manufacturers comply with the guideline, there are some who don't. As a result, many people will rely on a company's brand name to direct their purchases; this is usually a pretty good way to go. By and large, companies that are focused and dedicated to making gluten-free foods are less likely to let their customers down. By contrast, others may offer a gluten-free product line. In most cases, this would suggest that the kitchen is operated within certain standard to prevent accidental cross-contamination. If you're not sure of this and are faced with a new product, take the time to read the ingredients label. While companies aren't required by the FDA to advise the public if there is a risk of cross-contamination for gluten, they are required to do so for the top eight food allergens (milk, eggs, peanuts, tree nuts, wheat, soy, fish, crustacean, and shellfish). The simple rule of thumb is this: if you're uncertain about a gluten-free product and the label warns of possible cross-contamination of any sort, you may want to look elsewhere. As you can see, following the gluten-free diet is pretty complicated, and involves more than just making sure you eat only gluten-free-labeled foods. Gluten cross-contamination is a real issue, and one that can keep you feeling awful even if you believe you're eating gluten-free. If you find yourself really struggling, talk to your doctor about getting a referral to a dietitian who specializes in the gluten-free diet. That person can help you identify sources of gluten cross-contamination so that you can eliminate them. McIntosh, J.; Flanagan, A.; Madden, M. et al. Awareness of Coeliac Disease and the Gluten Status of ‘Gluten-Free’ Food Obtained on Request in Catering Outlets in Ireland. Int ernational Journal of Food Science and Technology.. 2011;46(8): 1569–1574. U.S. Food and Drug Administration. (2013) A Food Labeling Guide: Guidance for an Industry. Cedar Park, Maryland: Office of Nutrition, Labeling, and Dietary Supplements: HFS-800.